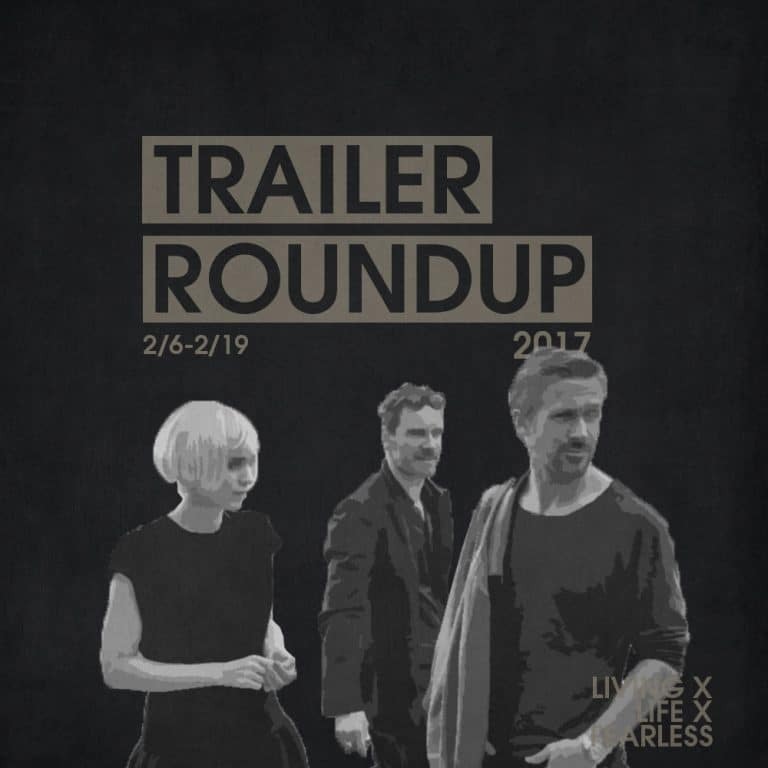 After an extremely lackluster last roundup, we’ve been hit with almost too many trailers to go through and breakdown this go around, but we did it anyways and rounded up what we thought were the best out of the bunch. They really covered a wide range of topics and genres, resulting in probably our most varied roundup yet, with trailers for stuff like The Bad Batch, Unlocked, Song to Song, American Anarchist, and much more. Check out everything I rounded up below, along with my reactions to each. Yeah I know, I know, another indie. Trust me, I’m the first to admit there’s way more garbage than good when it comes to indies, but this one’s got some serious talent behind it; not to mention the Song to Song is written and directed by the crtically acclaimed Terrence Malick. So it could be a good one. Another one of those movies that’s garnered a lot of buzz through the festival rounds, it looks like the lead delivers a hell of a performance in what appears to be a classic tale of the grass not always being greener on the other side. Definitely one to look out for. The original girl with a dragon tattoo and lead of Prometheus (which I think she handled well), looks to be going full on Ethan Hunt (Mission Impossible) this go around and we even get an Orlando Bloom sighting. All in all, it looks pretty by the numbers, but it’s not everyday you get a female lead in one of these types of films. I love a good, operative word being good, documentary as much as the next one and this looks like one of the most interesting ones in recent memory. Focusing on the author of the highly controversial The Anarchist Cookbook and the impact it’s had on society, and in particular home grown terrorism. It looks like it’ll be an intense, and highly personal look at what led to him writing the book and the guilt he’s lived with ever since. I’ll be watching this one for sure. Hmm, this one looks intriguing. Full of once highly touted actors and set during the Civil War in a behind enemy lines-esque tale full of seduction, jealousy, and a threat of violence lurking just below the surface. Unique to say the least. Yep, another one. This week’s chockful of indies, so you’ll just have to deal. It’s got that typical artsy feel I associate with an indie film, but that’s not always a bad thing. This one looks to be of higher quality than most, with a heartfelt tale about a father and son dealing with loss and grief. Hmm. Not really sure what this one’s all about. Either post-apocalyptic or some trippy, drug fueled tale. Part Burning Man and part Mad Max, it looks like it’ll be an interesting visual ride at the least. And hey, at least there’s still Khal Drogo and sweet stached Keanu Reeves if it turns out to be horrible. Financial talk puts me right to sleep like most people, but this documentary has my full attention. It focuses on the huge rise of Herbalife, it’s allegations of being a pyramid scheme, and one man’s billion dollar bet against it. I’m sure this will strike a nerve with a lot of people because I’d be willing to bet you have a friend or two or three that are all about that Herba life. No matter what you think about it (* cough cough * scam) this looks like an interesting watch. I’m a huge Will Ferrell fan, but I’ll be the first to admit that his most recent run of movies have been lackluster at best and sadly this doesn’t look like it’ll be ending that trend anytime soon. Sigh. He’s literally following the same formula over and over now. Next. Ok, James Franco is officially becoming the new Nicolas Cage. Don’t get me wrong I think he’s actually a really good actor but at this point it looks like he’ll appear in just about any movie out there. Simply put, this looks terrible and I keep waiting for the trailer to go into full on spoof. What’d you think about this weeks roundup of trailers? Which film are you most excited about? What do you think about indie films? Let me know in the comments below and subscribe to stay up on all the content and gain access to exclusives. Is Dan Schneider a #MeToo Story, or a Pizzagate One?